Stainless Steel 304 Seamless Pipes, SS 316 Welded Pipe Exporter. ASTM B673 SS 904L Round Pipes, Stainless Steel 304 ERW Pipes Exporter, SS 316 Rectangular Pipe, SS 904L Hexagonal Pipe, SS 304 High Temperature Seamless Pipes, SS UNS S30400 Welded Pipe Supplier. Are you looking to buy stainless pipe? If your reply is yes, then STAINLESS STEEL PIPE (304/316/321/347/904L) is the right option in front of you. There are various trader and manufacture available in the market but Amco Metals is the leading supplier in the current market. As they offer stainless steel pipes in various grades, specifications, and standards. These grades are suitable in various applications like building construction, various engineering purposes like fencing, scaffolding, line pipes etc. 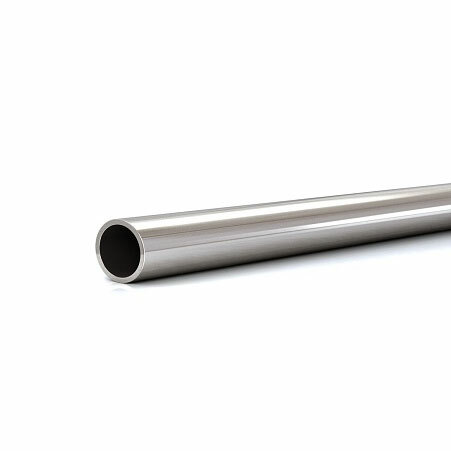 We offer the stainless pipe in various qualities, wall thickness, and diameters of the finished pipes. We are manufacturing this pipe by using a superior quality raw material with the help of our professional worker team. We are leading supplier, stockholder, and exporter of stainless steel pipe of various grades. These grades of stainless steel pipe have a feature like durability, longer service life, corrosion resistance, high strength, good toughness and more. We offer STAINLESS STEEL PIPE (304/316/321/347/904L) that are fabricated by using various grades of material steel alloys and is designed to meet the various industry and norms and as per their regulations. 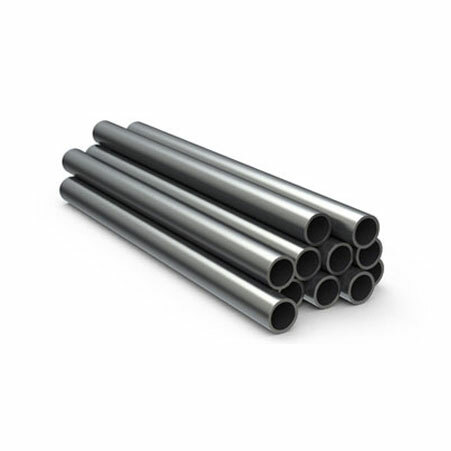 All these grades of the stainless pipe are available in seamless / welded/ non welded/ ERW forms. 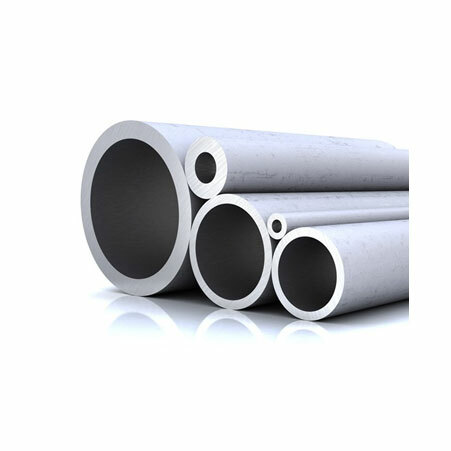 Stainless steel pipe is austenitic in nature as it contains 0.15% carbon, 16% chromium and a small amount of manganese and nickel. This is available in the plain, beveled and threaded end and it has standard size 15NB to 600 NB in SCH 5S, 10S, 10, 20, 40, the 40S, 60, 80S, 80, XS, 100,120,140,160 and XXS. This stainless pipe is subjected to a different test in order to ensure its quality and it is packed in a wooden box to maintain the product during the last stage of productions. 304 Stainless Steel WERKSTOFF NR. 1.4301 Pipe, SS UNS S31600 Welded Pipe, Stainless Steel 347 Seamless Pipe Manufacturer in India. Nepal, Sri Lanka, Puerto Rico, Israel, Hong Kong, Singapore, Bhutan, Jordan, Germany, Iran, Romania, Australia, Egypt, China, Tibet, Austria, Oman, Estonia, Yemen, Italy, Qatar, South Korea, Morocco, Netherlands, Ghana, United Arab Emirates, Ireland, France, Gabon, Taiwan, Belgium, South Africa, Azerbaijan, Turkey, Norway, Poland, Bulgaria, Chile, Pakistan, United Kingdom, Philippines, Thailand, Hungary, Bangladesh, Macau, Mexico, Zimbabwe, Ukraine, Denmark, Lithuania, Brazil, Mongolia, Chile, Argentina, Greece, Saudi Arabia, Serbia, Mexico, Finland, Libya, Canada, Sweden, Colombia, Vietnam, Peru, Nigeria, Poland, Spain, Kuwait, Lebanon, Croatia, Bahrain, Nigeria, Malaysia, Kenya, Costa Rica, Japan, Russia, Iran, Slovakia, Indonesia, India, Switzerland, Portugal, Afghanistan, Kazakhstan, Venezuela, Czech Republic, Ecuador, Namibia, Trinidad & Tobago,Tunisia, Algeria, Belarus, New Zealand, United States, Gambia, Bolivia, Angola, Iraq. Bogota, Singapore, Melbourne, Thane, Chiyoda, Ahvaz, Indore, Abu Dhabi, Caracas, Petaling Jaya, Howrah, Aberdeen, Coimbatore, Doha, Riyadh, Chennai, Rajkot, Ludhiana, Noida, Jeddah, Ahmedabad, Navi Mumbai, Haryana, Vadodara, Faridabad, Ankara, Manama, Visakhapatnam, Algiers, Calgary, Baroda, Dammam, Los Angeles, La Victoria, New Delhi, Kuwait City, Hyderabad, Pune, Gurgaon, Kolkata, Nagpur, Thiruvananthapuram, Geoje-si, Courbevoie, Cairo, Istanbul, Al Khobar, Toronto, Ho Chi Minh City, Surat, Mexico City, Rio de Janeiro, London, Al Jubail, Madrid, Seoul, Lagos, Bhopal, Ernakulam, Karachi, Busan, Bengaluru, Hanoi, Gimhae-si, Kanpur, Jakarta, Santiago, Edmonton, Brisbane, Ulsan, Atyrau, Pimpri-Chinchwad, Tehran, Lahore, Jamshedpur, Montreal, Granada, Sharjah, Nashik, Mumbai, Bangkok, Ranchi, New York, Hong Kong, Colombo, Dubai, Muscat, Moscow, Milan, Secunderabad, Port-of-Spain, Dallas, Sydney, Houston, Chandigarh, Kuala Lumpur, Jaipur, Perth, Vung Tau.